On May 9, Lawrence Lambert CBE, retired as Managing Director with Grencan Investments Limited, trading as the Flamboyant Hotel and Villas, after 25 years. The following is the text of Lambert’s farewell address. “Master of Ceremonies, Minister of Tourism Alexandra Otway-Noel, fellow directors and shareholders, distinguished guests, members of the media, members of staff, ladies and gentlemen. I would like to thank each and every one of you for coming this evening to celebrate this milestone with me – my retirement as Managing Director with Grencan Investments Limited, trading as the Flamboyant Hotel and Villas, after 25 years. I do greatly appreciate this and I am honoured that you have given up your personal time to help usher me through the doorway as I depart from my position here. How did I arrive at this decision at this time? With the onset, about a year ago, of health issues with my knees, I was forced to start putting into motion plans to take it easier because of the pain and mobility restrictions. Managing a hotel involves a lot of long hours and walking around, and I am sure you are all aware of the topography of Flamboyant. For those of you who know me well, you know that I would not be the sit-down-at-home-doing-nothing type of retiree. I am still on the board of our company, Grencan Investments Limited, and there is still a lot of unfinished business where I hope to lend a hand with my expertise and of course, I do have hobbies that I intend to pursue. This journey begun in 1988, when Mr Kenneth Tamar and I decided to come to Grenada, to look for property to do business. We actually were in the home rental business “on the side” in Toronto, and the real estate market at the time was experiencing a surge in values. 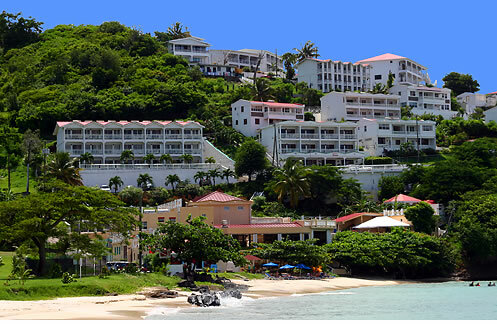 Our target property in Grenada was the Mount Helicon. It was in a great location for an historical inn but the lot was too small, and there was a school adjacent to it. A friend of mine Russel Antoine, informed me that the Flamboyant Hotel was for sale and we approached the owner. The asking price of the Flamboyant was only EC $300,000 more than Mt Helicon and here we had room to expand. We were on Grand Anse Beach and we had a small hotel already operating on the property. At that time Mr Jack Sampson had joined our group so it was Mr Tamar, Mr Sampson and I in the beginning on the ground here in Grenada. We made a Cdn $30,000 deposit, not knowing fully where the balance was going to come from. So on the plane on my way back to Toronto, I made a list of all the people I knew with the intention of asking them to join us in this hotel development in Grenada. It was not as easy as I thought, but by opening date in July 1989 we had a few Grenadians and one Canadian as shareholders, and with a loan from Grenada Bank of Commerce now RBTT, we commenced business at our 9 unit Flamboyant Hotel, with 5 staff. Over the past 25 years we have developed this property to a 68 unit hotel with restaurants, bars and a conference centre. The “WE” I am referring to are the shareholders who I approached over the years to take this journey with me by investing in the hotel, and the staff who over the years worked along with me to make this hotel a home away from home for many people from around the globe. It has been a challenging journey, but one full of satisfaction. We commenced operation with a small investment in 1989 and reinvested profits over the years and borrowed to add rooms and facilities. 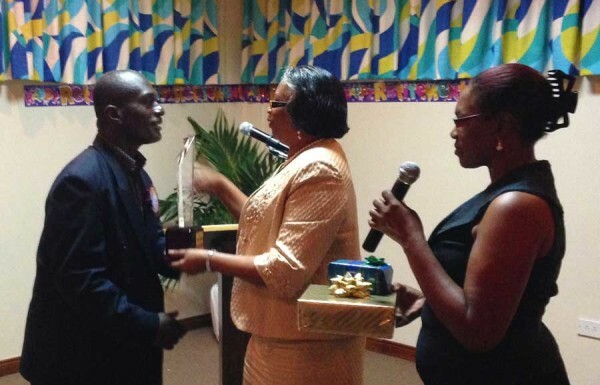 We have provided employment for hundreds of Grenadians in the construction and hospitality disciplines. We have provided a livelihood for many farmers and taxi drivers and other tradesmen and tradeswomen. I want to take this opportunity here to thank all the shareholders for taking that chance with me. Also, thank you to all the staff for their support and loyalty. Let us not forget all the guests who have stayed at our hotel over the years and have brought or sent, new customers. I want to say thank you to the management and staff of all the firms that we have worked with over the years, and look forward to a continued good working relationship with the new management team of the hotel. I want to say thank you to the Government of Grenada for all the assistance extended to this hotel since it commenced business in 1989. It is no secret that the hotel investment landscape has changed over the past few years because of the downturn in the world economy, and many of Grenada’s hotel investments including ours are distressed. Our Board of directors is working assiduously to reposition the hotel so that the investment would not be lost, and 84 employees find themselves out of work. Because the land that the hotel is built on is leased from the government, we need their assistance urgently to facilitate the repositioning exercise. A process was started several months ago which is still not complete. I was hoping that I would have been able to make a very positive announcement and see some of our plans on their way to implementation as I hand over to the new management team. I hope and pray that the powers that be realise the sense of urgency required to save this homegrown investment and the jobs that go with it. In 1989 when we were putting this investment together, I remember camping outside the office of the late Minister Ben Jones fighting to save the investment because we had to meet a deadline for closing of the deal. At the time, I felt that the government of the day did not fully understand the difficulties faced by local business persons trying to set up and operate a business of this magnitude. A recent CTO study showed that for Tourism Investments, 80% of the revenue from local investors remain in the country as compared with only 20% of revenue from the foreign investors. Caribbean Governments please take note. Please treat your local investors, regardless how small they may be with the same level of respect shown to the foreign investors. Last but not least, I want to say thank you to Our Sovereign Lord for preparing this journey for me and seeing me through it. Also, thank you to my wife, my children and my mother who have been my support, especially when the challenges were great. They always provided a shoulder for me to cry on, and believe you me, over the years there were a lot of tears.